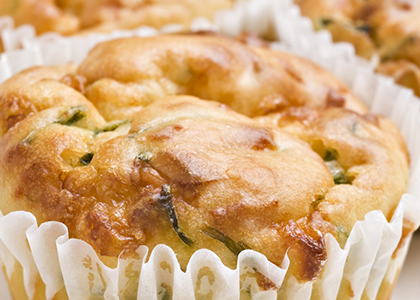 Good Hemp Savoury Muffins are perfect for breakfast or as a mid-afternoon work snack. 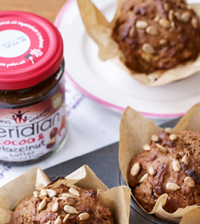 These muffins are made with Good Hemp Milk Original which means they are completely vegan friendly! The combination of spinach, leek and basil is so good, you’d better get baking right away! If you’re not vegan, you may want to add some cheese to give these muffins extra richness. 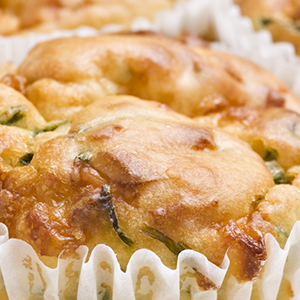 Pre-heat the oven to Gas 6 (200C/400F) and prepare two 12-hole muffin tins by lightly greasing them. Heat the Good Oil in a saucepan and add the onion, garlic and leek. 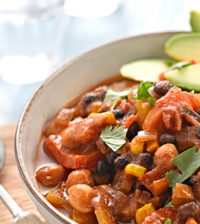 Cook for around 5 minutes, add the spinach and cook for a further 5 minutes and set aside. Sift the flour, baking powder and salt into a large bowl. 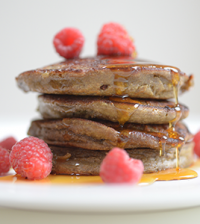 Next, make a well in the centre of the flour mixture and pour in the Good Hemp Milk Original. Fold the mixture together using as few strokes as possible to keep in the air. Now fold in the Good Oil, onion, leek and spinach mixture and sprinkle in the basil. Stir until thoroughly combined. Divide the mixture between the 12 holes in the muffin tins and bake for around 20 minutes until they are well risen and golden brown.